Join us for one hour and lunch. 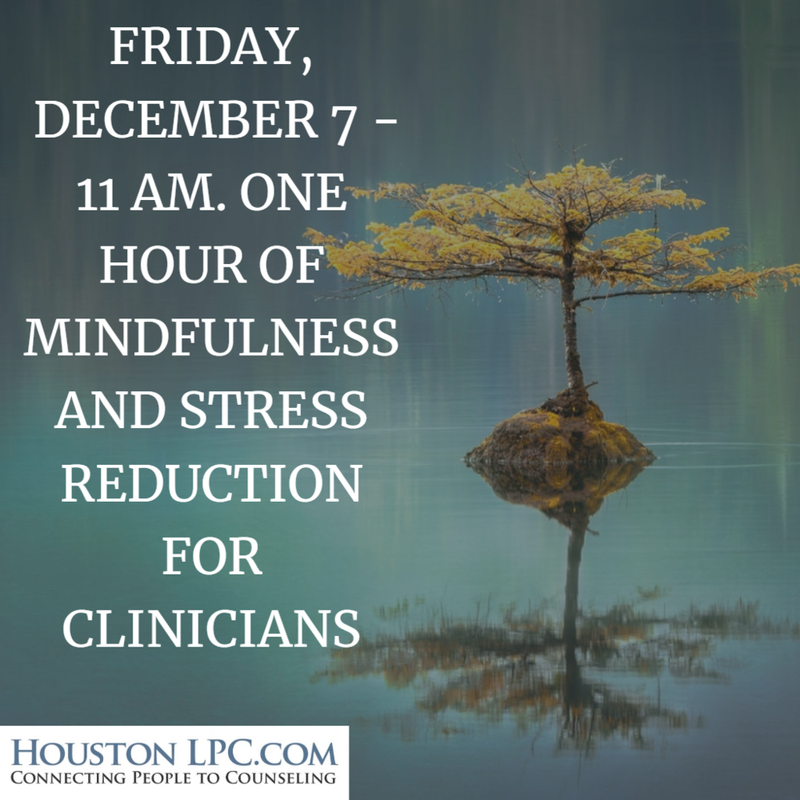 We will discuss and practice mindfulness and stress reduction: Assuming an aware, nonjudgmental, present state of mind to enhance the quality of care for patients and foster joy in your work as a clinician, reducing stress and helping you prevent burnout. 1 hour Free CEU sponsored by Memorial Hermann Prevention and Recovery Center (PaRC). We will enjoy lunch at 12 pm sponsored by Great Oaks Recovery. RSVP by filling out this simple form.